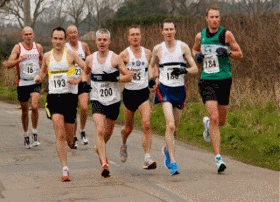 Inter-Counties 2019 - This year the race not only hosts the Essex Championships, but also an inter county match between Essex, Kent, Norfolk, Cambridgeshire, Bedfordshire, Hertfordshire, Hampshire and Sussex. Runners will not qualify for Medals /prizes if they are not wearing the club kit of their first claim club in whose name they have entered. Car Parking - Limited parking available at school (please car share where possible). Access to parking is via Shires Way, off Brays Lane. Parking is limited so please car share wherever possible. When parking on streets please be considerate to local residents. Race numbers to be collected on the day from the school from 8.45am. Please aim to collect your number by 9.30am at the latest. Please fill in the personal information on the back so that in the event of an accident, illness or injury appropriate action can be taken. No further registration is required. If you find that you cannot take part in the race please do not allow someone to collect your number and run in your place. Course Description - It is a 3 lap race with 2 water stations on each lap where water dispensed in cups will be available. If you require more liquid then please come prepared. All roads are still open to traffic so please keep well to the left except when directed otherwise by marshals. Please dispose of both water cups, drinks bottles and gels in the bins provided and refrain from throwing them on the roadside along the course. Cut off - There is a 4 hour cut off time when water stations and road signage will be removed. Headphones - In line with UK race rules the wearing of headphones is forbidden during the race, as these may prevent you from hearing instructions from Marshals. If runners choose to ignore this advice they do so at their own risk and will be disqualified - race result removed. Any runner not complying with these rules is liable to disqualification. This advice is for your own safety and that of other road users. Without your co-operation it is not possible to hold a race on public roads. at Fourth Roundabout turn right signposted Ashingdon / Canewdon. Contact Us via our Facebook page. 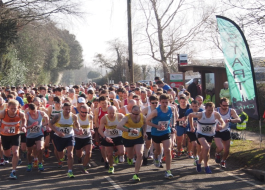 In recognition of the ever increasing cost of road races and the extremely positive feedback received last year the organisers have decided to keep the entry fee low to bring you probably the best value for money 20 mile race in the country. There will be no t-shirts or medals but free coffee or tea for each runner will continue. On the day entries: Only if the limit of 600 has not been reached beforehand (note the race has been sold out the last 2 years). The list of entries for the 2019 race is here. 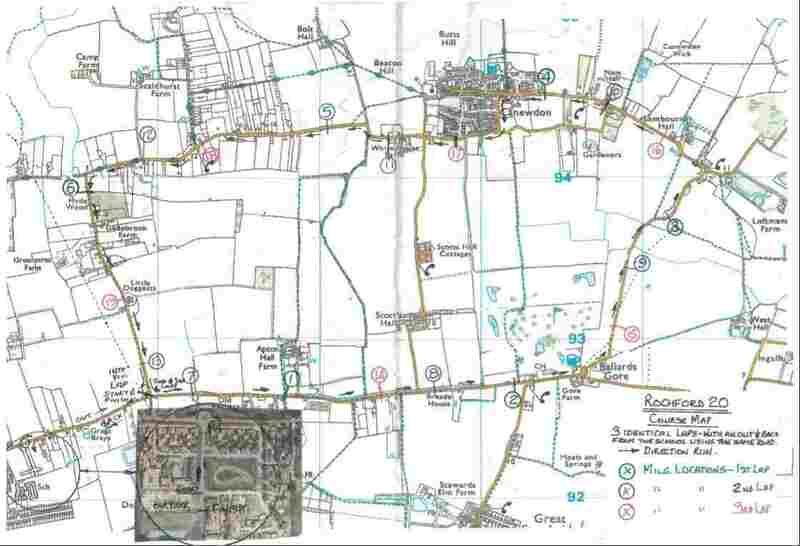 Results of the Essex 20 going back to 1970 are here.